Reckless driving in Virginia is a misdemeanor, not just a traffic infraction. In this guide, we cover the various strategies you can use to fight a reckless driving charge. The biggest mistake you can make with a reckless driving charge in Virginia is treating it like a normal traffic ticket. Virginia courts penalize reckless driving as a Class 1 misdemeanor. This means that a successful conviction can lead to jail time, massive fines, and even the loss of your license. This is especially tricky for out of state drivers, who often have to fight the charge from hundreds of miles away. However, a reckless driving charge isn’t the end of the world. Being proactive in your defense can go a long way, especially in cases of reckless by speed. This can include taking driving classes, committing to community service, and hiring a lawyer well before your first court date. In this article, we’ll cover every aspect of understanding and fighting a Virginia reckless driving charge. 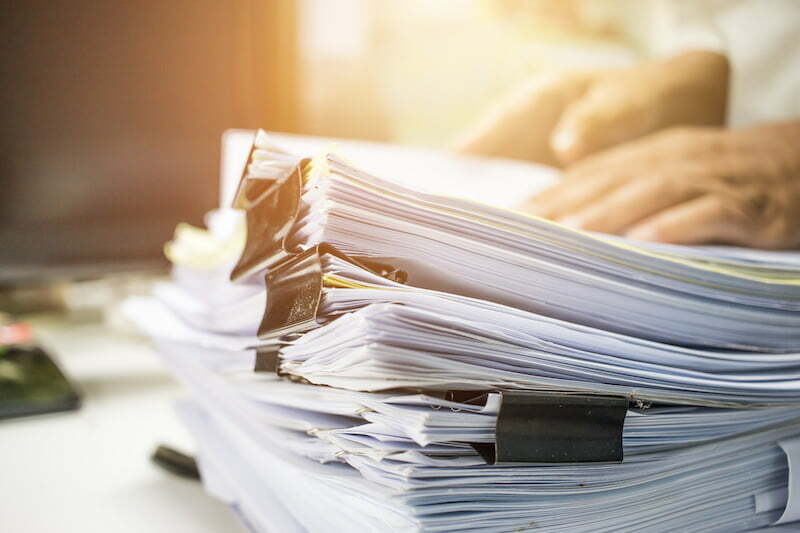 While an online article is no substitute for having an attorney look over your specific case, it should still give you a basic understanding of how your case will proceed. 2. What are the Consequences for Reckless Driving in Virginia? 4. How Do I Fight A Reckless Driving Charge in Virginia? 5.2. Should I Request a Jury Trial? VA Code § 46.2-852 – Driving a vehicle in a way that endangers others, regardless of speed. VA Code § 46.2-853 – Failing to maintain control of a vehicle, including failure to properly maintain safety equipment such as brakes. 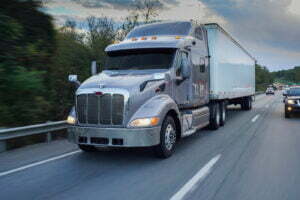 VA Code § 46.2-862 – Driving more that 20 mph over the speed limit, OR faster than 80 mph total. Using these laws, as well as other, more specific sections in the statute, Virginia judges can punish a wide variety of unsafe driving habits as “reckless.” Examples of other actions commonly charged as reckless driving include drowsy driving, passing a stopped school bus, and drag racing. Reckless driving is one of the most commonly charged traffic crimes in Virginia, usually for cases of speeding. However, unlike normal traffic infractions, Virginia courts treat reckless driving as a Class 1 misdemeanor. This means that, in the eyes of the court, reckless driving is as serious of an offense as assault, impersonating a police officer, and certain forms of arson. Essentially, this means that a reckless driving charge isn’t something that will go away by simply paying a ticket. As a criminal charge, you need to hire a lawyer and prepare to fight the charges in court. Otherwise, you might end up with massive fines, a suspended license, and even jail time. Further, criminal convictions can also often lead to additional collateral consequences, such as the loss of certain benefits or housing rights. In some cases, it may even affect your ability to find a job. Traffic stop procedures can vary widely based on where you are in Virginia. For this reason, you might have some difficulty figuring out whether your ticket is for speeding or reckless driving. If you have any questions during the stop itself, ask the officer who issued you the ticket. First, look at the “charges” or “law section” part of the ticket. If it lists any codes between § 46.2-852 and § 46.2-869, or if you see the letters “RD,” the ticket is for reckless driving. If an officer stopped you for speeding, make sure to take note of the speed written on the ticket. If it’s more than 20 miles over the speed limit, or over 80 mph total, the ticket might also be for reckless driving. In some counties, an officer might scratch out the prepayment information on the ticket to further ensure you know you have to go to court. However, this is not true everywhere in Virginia. Once you’re certain that your ticket is for reckless driving, its time to take a look at your court date. The date on your ticket may be one of two things: a date within a couple weeks, or a date a few months away. This is an informal hearing commonly known as arraignment. During this hearing, the judge will tell you the date of your trial, and advise you of your rights. If you qualify for a court-appointed attorney, the judge will also let you know on this day. If the date is further out, then it is likely your actual trial date. By this point, you need to have either hired an attorney, or spoken with the court-appointed attorney about your case. Trials for reckless driving in Virginia take place in the local General District Court (in the city or county where you were cited). There, you can enter a plea of guilty, not guilty, or no contest. If you have an attorney present, you may allow them to enter a plea for you. The judge will then make sure you understand the possible consequences of your plea, and, if appropriate, the trial will commence. Usually, reckless driving charges hinge on how the officer’s speed testing device measures the speed you are traveling at. For this reason, a common defense is to argue that the officer made a mistake, or that their device incorrectly measured your speed. Remember, the officer must prove any and all charges in court. Often, this means the judge will weigh your testimony against the responding officer’s. The officer can testify to anything that happened during the traffic stop, including any statements that you made to the officer regarding your speed. For this reason, you should always speak carefully with officers during traffic stops. As the saying goes, anything you say will be used against you in a court of law. Accidentally admitting to a crime during the stop can negatively impact your case down the line. Finally, you should note that failure to appear in court is in itself a crime in Virginia. In fact, failure to appear is also a Class 1 misdemeanor. This means that it carries the same criminal penalties as reckless driving. To put this into perspective, if you fail to appear in court for your reckless driving charge you’re essentially doubling the charges against you, as well as the penalties you potentially face. This can result in an additional fine of up to $2500 and/or up to another 12 months in jail. In order to understand your ticket, and the strategies you have for fighting it, you should know the differences between speeding, improper driving, and reckless driving. While reckless driving may be a crime, speeding and improper driving are traffic infractions that carry much lower penalties. Speeding – In Virginia, most cases of speeding don’t lead to reckless driving charges, and thus do not carry criminal penalties. 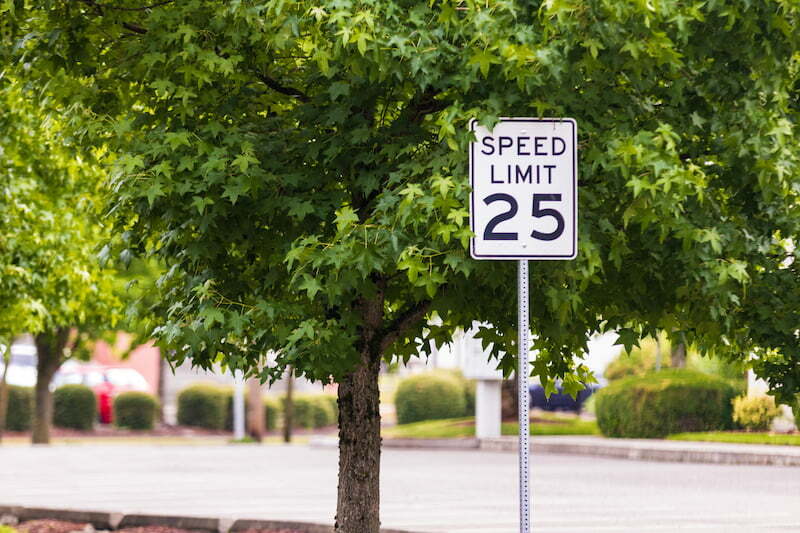 Instead, the maximum penalty for speeding is usually only a $250 fine. The DMV will also apply between three and six demerit points to your license. Improper Driving – While improper driving sounds similar to reckless driving, the code treats it very differently. As defined in VA Code § 46.2-869, improper driving is a non-criminal traffic infraction and not a misdemeanor. At most, improper driving will result in a $500 fine and three points on your license. However, you should note that you’ll never receive a ticket for “improper driving” in Virginia. Instead, improper driving is a way for judges to lower the penalties for reckless driving if they feel the case doesn’t necessitate serious punishment. Essentially, instead of wasting time and money fighting a reckless driving charge, you can instead plead guilty to improper driving. This lets you avoid criminal charges altogether in exchange for a much lower punishment, such as a small fine, community service, and/or mandatory driving classes. This is one very good reason to speak with an attorney early in your case, as they know how to maneuver your case towards this outcome. What are the Consequences for Reckless Driving in Virginia? Individuals convicted of reckless driving in Virginia can expect several penalties, ranging from those outlined in the code to related collateral consequences. In general, first-time offenders can expect a fine, points on their license, and possibly jail time. We’ll outline the basics of each of these penalties below. If convicted, you’ll usually receive a relatively large fine. The actual amount can vary by jurisdiction, and sometimes depends on how fast you were going. In general, you should expect to pay around $350-$500. However, while the general trend is towards lower fines, the maximum fine of $2,500 is not unheard of. This is especially true for repeat offenders. Additionally, if a Virginia court finds you guilty of reckless driving the DMV will place six demerit points on your license. These points will normally remain on your license for two years. Once you receive a set amount of points within a short amount of time, the DMV will automatically suspend or revoke your license. For example, if a reckless driving conviction puts you over eight points in one year, or twelve points within two years, you will lose your license. While it’s possible to reinstate your license, doing so can cost a lot of money, and can take several months to pull off. Even if your conviction doesn’t bring you above the DMV’s point limit, a judge can still decide to suspend your license anyway. Judges typically do this for DUI convictions, repeat reckless driving offenders, and in instances of extreme negligence. In addition to the penalties above, you may face up to one year of jail time for a reckless driving conviction. However, most first-time offenders can avoid jail by instead performing community service. Typically, judges will assign jail time to repeat offenders, racers, and those going over 95 mph. As with license suspension, the final decision falls to the judge presiding over your case. Making a good impression on the judge is especially helpful in this regard. For this reason, many attorney recommend taking driving classes or completing treatment programs before stepping in the courtroom. This can help show the judge that you’re taking steps to fix the problem. In addition to the penalties outlined in the Virginia Code, there are several other consequences that might come out of a reckless driving conviction. These penalties are commonly referred to as collateral consequences. Collateral consequences are additional penalties you might face outside of those specifically outlined in the code. While fines and jail time are direct consequences of a criminal conviction, having a crime on your record can negatively impact your life in other ways. One common example of this is that crimes often show up on background checks, which can affect your ability to get a job. While there are hundreds of collateral consequences for criminal convictions in Virginia, there are a few common ones you should look out for in relation to a reckless driving charge. These can include difficulty applying for public housing, the loss of certain government benefits, and an increase in insurance premiums. You should speak with your lawyer about any and all collateral consequences of a reckless driving conviction before your trial date. In Virginia, most of the above penalties apply equally to in-state and out-of-state drivers. Even if you live in another state, you might have to show up in the Virginia court listed on your ticket on your assigned day. Sometimes, a small box on your summons will be checked if you don’t need to come to court as an out of state defendant. However, you should still speak with an attorney to double check this information. Remember, failing to show up to your court date can lead to additional charges. For this reason, you’ll want to be especially certain that you have all your ducks in a row as an out-of-state defendant. One other thing to note as an out-of-state driver is that your state’s DMV might place a different point total on your license than what would normally be assigned in Virginia. This is because most states subscribe to the Interstate Driver’s License Compact. Basically, this compact says that a state can treat a criminal traffic charge from another state as if it occurred in their own jurisdiction. In other words, your home state will penalize your license based on its own reckless driving laws, not Virginia’s. This is particularly relevant for North Carolina residents, who may suffer an immediate 30-day license suspension. How Do I Fight A Reckless Driving Charge in Virginia? Depending on the circumstances of your reckless driving case, your lawyer may argue for one of two options. If you have a strong argument for innocence, your attorney may attempt to get the case dismissed entirely. If you can’t make that argument, your attorney may instead argue for a reduced charge, such as improper driving. You were driving on the day of the offense. You were driving unsafely, or at an unsafe speed. If the judge has a reason to doubt either of those facts, you can move to get your case dismissed. In most cases, introducing doubt will rely on proving that your driving was not unsafe, or that you were not the one driving. However, you should note that most of the articles you’ll read about how to get out of tickets don’t usually work in court. Stating that your speedometer was incorrect, or that your brakes failed, is not a valid defense in most Virginia courtooms. This is because there is a reasonable expectation in Virginia that you properly maintain your vehicle. In cases that resulted in an accident, the state must also provide evidence that you were directly responsible for the crash. 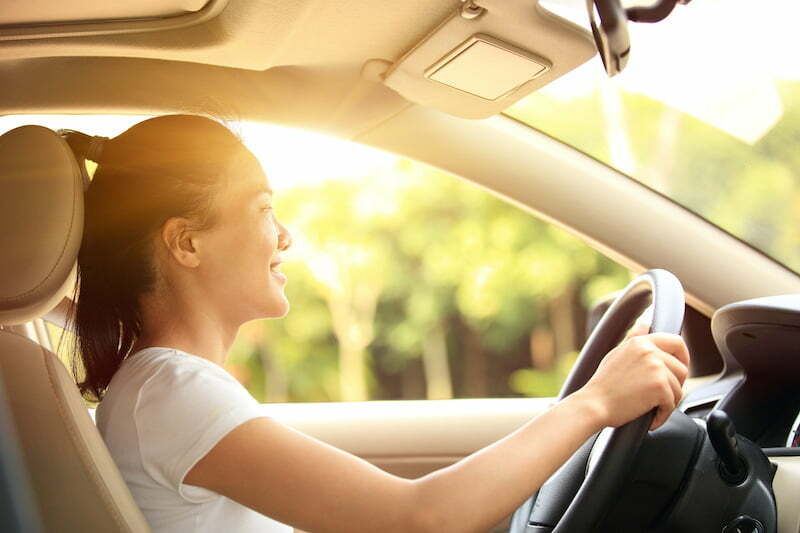 Note that while Virginia normally uses the contributory negligence rule for car accidents, any responsibility is enough to prove a reckless driving charge. This is part of the reason that attorneys tell their clients to avoid talking to the police more than they have to. By providing the officer on scene with additional details, you increase the chance of self-incrimination. Additionally, you should avoid incriminating yourself in other courts before your reckless driving trial. If you admit fault in a personal injury case, the prosecution might use that ruling against you in your criminal case. If your attorney can’t get your case dismissed outright, they’ll instead argue for lesser charges. Typically, this involves asking the commonwealth’s attorney to instead find you guilty of improper driving. As we mentioned earlier, improper driving is a non-criminal offense, and does not carry the risk of jail time. Basically, you want to show the court that you’ve made efforts to correct your behavior, and that there is a low risk of a repeat offense. In return, the court will offer you a plea deal for this much lower offense. Generally speaking, there are a few things you’ll want to do before your trial date if you choose this path. First, depending on your district, you should commit to performing community service before your trial date. Since many judges assign community service instead of jail time, committing to, and performing, community service before you show up in court will only help your case. Second, you should look into taking driver improvement courses prior to your trial. These classes help demonstrate that you’ve addressed the problem, and feel remorse for your actions. Additionally, many Virginia judges mandate these classes anyway as part of a plea deal. Finally, if you do choose to argue that your speedometer or another mechanical element failed, causing your reckless driving charge, make sure to calibrate or fix the device before your court date. While not a valid defense on its own, taking actions to fix the problem will also help your case in court. It is very important to avoid repeat reckless driving offenses. Because reckless driving stays on your criminal record forever, judges will take note of your prior convictions when deciding on your punishment. As stated previously, Virginia judges are notoriously harsh when punishing driving crimes. For this reason, repeat offenders should take extra steps to avoid the harshest penalties in their case. If you’re unhappy with the result of your trial, you can file an appeal with your local Circuit Court. However, you must act quickly. In Virginia, you may only appeal to the Circuit Court within ten days of the initial trial. If your attorney thinks an appeal has the potential to succeed, they will help you fill out the paperwork immediately after your trial. Note that you generally cannot appeal a case after submitting a guilty plea. After filing for an appeal, you’ll have to appear before the local Circuit Court to argue your case. Generally, the court sets this date a few weeks after your initial trial. In Virginia, appeals to the Circuit Court are tried “de novo.” This means that your original conviction will have no effect on your appeal in Circuit Court. Think of it like an entirely new trial for your case, where you can use better evidence or arguments to fight the charges against you. Neither you nor the court can (or should) reference your previous trial during the new case. Should I Request a Jury Trial? When appealing a criminal case in Virginia, you can choose to have your case heard by either a judge or a jury. Choosing a judge is generally the recommended option, but choosing a trial by jury also has some benefits. In most cases, the best word to describe a jury trial is “unpredictable.” On one hand, juries can give out incredibly lenient sentences which deviate from the normal sentencing guidelines. This means that while a judge might assign you certain penalties such as fines or community service, juries commonly dismiss the charges entirely, or assign other exceptionally low sentences. On the other hand, a jury might assign penalties far above what a judge would normally consider. It’s not uncommon for a jury to assign the maximum possible sentence of a year in prison and a $2,500 fine. Additionally, there are several other quirks that come with jury trials. For instance, juries can’t assign reduced charges to your case, such as improper driving. 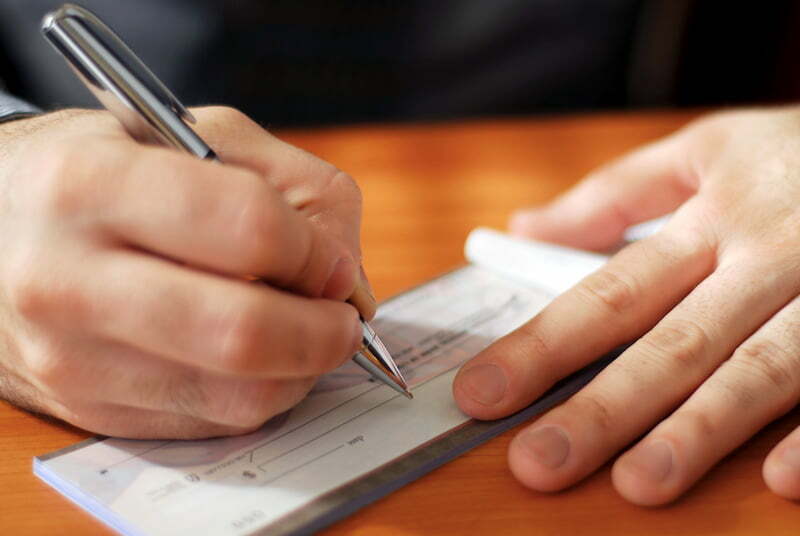 Furthermore, if the jury successfully convicts you, the court can also request that you pay for the jury’s court costs. For these reasons, most attorneys avoid requesting jury trials in reckless driving cases and pursue them only when their client has little to lose. Virginia is notoriously harsh in its treatment of driving crimes. Many offenses that might be infractions in other states are serious crimes in Virginia, and carry similarly serious penalties. The Commonwealth of Virginia defines reckless driving in many different ways. However, the most common reason for a reckless driving charge is speed. If you’re charged with reckless driving, consult a lawyer immediately. In Virginia, reckless driving is a misdemeanor, not just a traffic infraction. Make sure to attend both your first appearance (if applicable) and your trial date. Failing to do so is a separate crime, which can result in even more penalties. If you’re unhappy with the outcome of your trial, talk to your lawyer immediately about filing an appeal. You only have 10 days to file the paperwork with your local Circuit Court. Remember, a reckless driving conviction is misdemeanor that will stay on your record forever. For that reason, you should hire an attorney immediately after reckless driving charges are filed against you. Even if they can’t get your case dismissed entirely, having a lawyer by your side can greatly increase your chances of success in court. In any case, the most important thing to remember about reckless driving in Virginia is that you need to take the charges seriously. Hiring an experienced traffic lawyer is the best way to get through this difficult time both safely and easily. Does Virginia Penalize CDL Holders Differently for Traffic Crimes?